Hey Everyone! This is kind of a special post today! I have been given a final assignment for my Literary Arts class- create a multimodal platform of my PERSONAL LITERACY JOURNEY. I had a lot of fun delving into the literary milestones that have made me who I am today- a lover of books! Here is my Personal Literacy History, I hope you enjoy it! 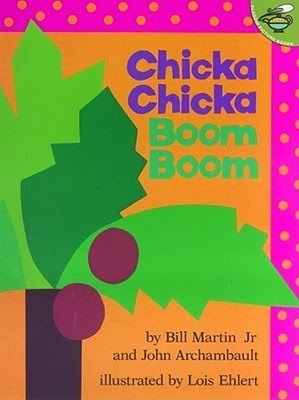 I remember my Kindergarten Teacher, Mrs. Butler, playing her audio book version CHICKA, CHICKA, BOOM, BOOM by Bill Martin, as a means of teaching my peers and I the alphabet. I adored this book then, and still do to this day! And hope to incorporate this wonderful classic into my Teaching Pedagogy one day, should I ever be lucky enough to teach full-day Kindergarten. Below is a hilariously fun Youtube video of the updated e-version of Martin's Chicka, Chicka, Boom, Boom that's sure to engage young learners! 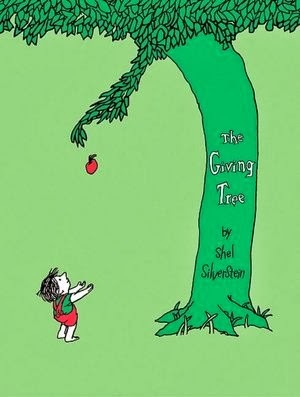 I remember my Elementary School Librarian, Mrs. Wallace-Edwards, having my Grade 2 class sit at the library carpet area while she read us a book entitled, The Giving Tree by Shel Silverstein. I had never heard of the book before this and was intrigued by what kind of relationship a boy could have with an apple tree. After the Read Aloud was done, I remembered the moral of this story truly sticking with me (this was a first for me), the idea that love is unconditional- to give is truly to receive. I sincerely remember my 8-year-old self giving pause, to reflect on this moral, and I have carried this value with me throughout my young and adult life. I will always keep a copy of this title in my personal library and hope to one day share it, not just with my students, but my own children as well. 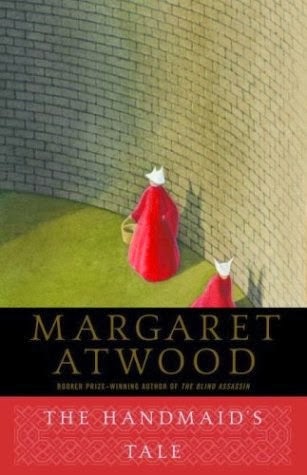 It's a wonderful piece of literature that can be cross-curriculared with many subjects, including Social Studies and Science- there are many themes that can be gleaned from this classic. I'm going to be quite honest- I cried almost everyday in Grade 3 (this is not a lie, my friends still tease to me to this day about it). 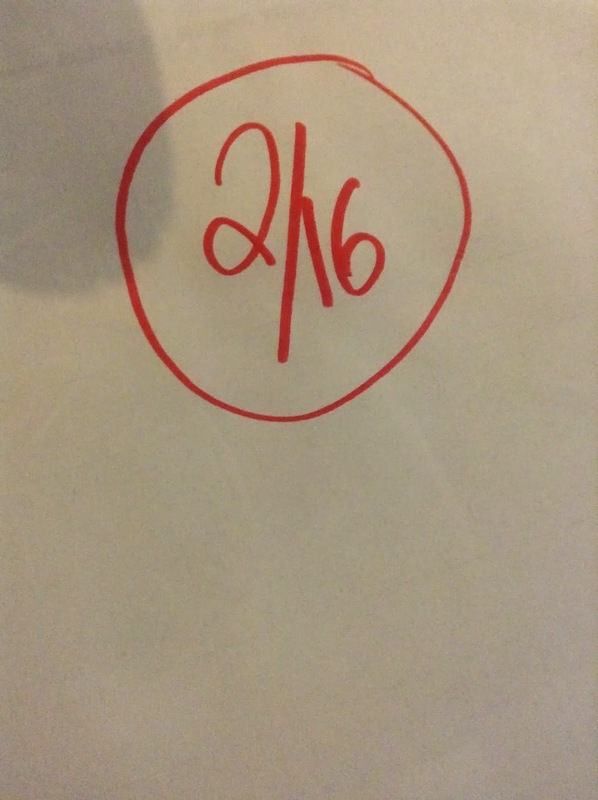 I cried of embarrassment- I would receive my spelling test from the previous day, and almost always, would receive a 2/16 (give or take a point). These test scores were devastating to my young 9-year-old self. I felt defeated and stupid most of the time, and as a result, suffered from very low self-esteem. Mrs. Powell, my Grade 3 Teacher (whom to this day, I still adore), gave my parents two options- I either take Summer school or repeat the Third Grade. Luckily my parents chose to send me to Summer school and this is where I learned how valuable studying can truly be. From then on, I'm proud to say, I aced all my spelling tests. I used to look back on this year of my life and cringe (truth be told I still can't believe how often I cried) but I'm so thankful for this experience, because I think it has made me that much stronger a person and it will only help make me a more empathetic Educator- I will never assume a student is "difficult" or "incapable" of achievement and I hope to always promote and instil self-confidence in my young learners. My Grade 4 class had been given an assignment to write a short story, and I must apologize because for the life of me I can't remember what the title of that was or even its content, but I do remember my Teacher, Mrs. Flannigan, pulling my mother aside one day to show her my work and stating "I think she would be a great write when she's older" (please be informed that I may be paraphrasing this statement, as it was over a decade ago when I first heard it). This is my earliest memory of truly believing I could have a future in literature. I signed up for a Focus Group when I was 13-years-old, and was informed I would receive two books in the mail. Well, imagine my surprise when I began reading my first romance novel! Although, I may have been a bit immature/naive for it, at the time, I really fell in love with the genre and all the overdone cliches that came along with it. I had a terrific English Teacher in high school, Ms. Anklesaria. 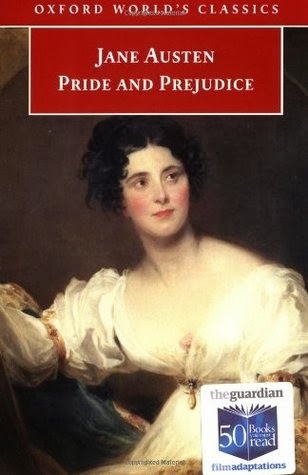 And when I was given a project; to write and compare two narratives, Ms. Anklesaria suggested two classics to me- Pride and Prejudice by Jane Austen and The Handmaid's Tale by Margaret Atwood. This was my first experience at delving further than the surface and recognizing/analyzing the subtext in literature. I really enjoyed looking at the deeper meaning behind the author's voice and characters' narration and hope to one day have the opportunity to discuss and delve further into the meaning behind texts my students are passionate about. This was a milestone for me. Stepping into my first Lecture Hall, I felt like a true academic. But my euphoria ended as soon as I received my first D on a paper/essay. It was here that I learned that "essay format" isn't black and white (aka five paragraphs), as I had originally believed in high school. 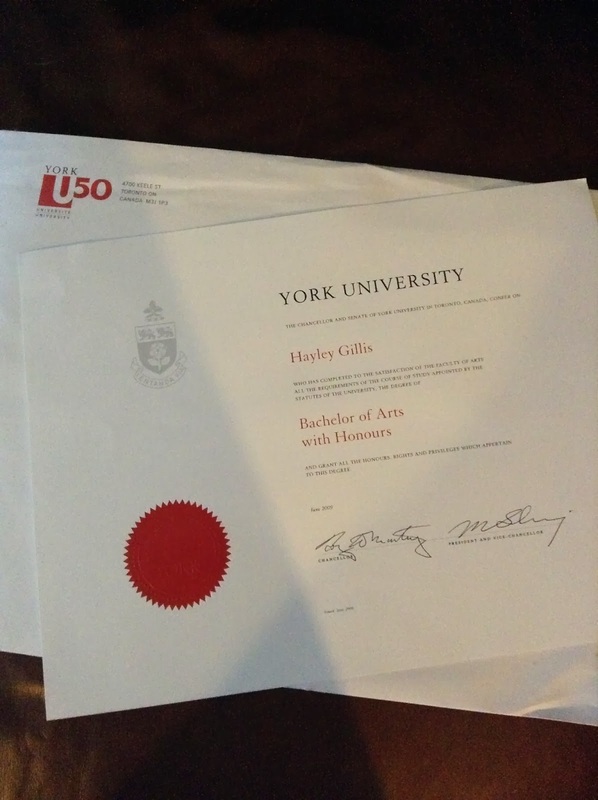 My confidence was shook up and I did have my doubts, but like my Grade 3-self, I just had to apply myself that much more, and I succeeding in doing so by graduating, from York University, with an Honours, B.A. in English Literature. 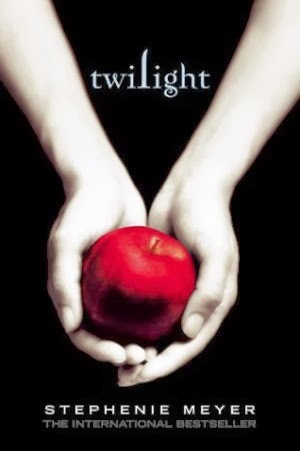 I didn't have the chance to read a lot for pleasure, while attending York University, but I was on the hunt for a good romance, when a Chapters employee suggested I read this not-so-known book, Twilight by Stephenie Meyer. I liked that it was a bigger read (500+ pages) so I bought it, and from that day on I have had an intense passion for Young Adult literature. 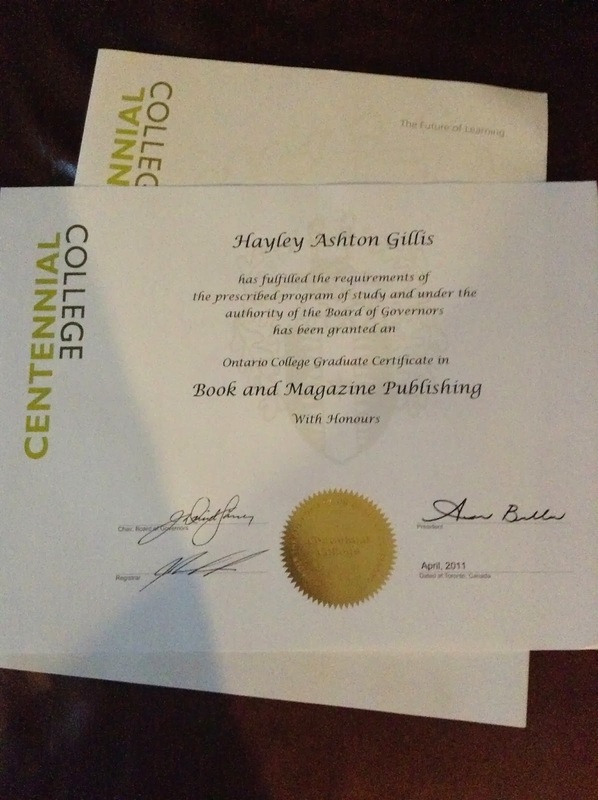 In fact, my passion was so great, that I decided to direct my path towards the Publishing Industry. about the Publishing Industry (specifically the Marketing and Editorial branches). I was also fortunate enough to make a lot of valuable contacts during this Program. 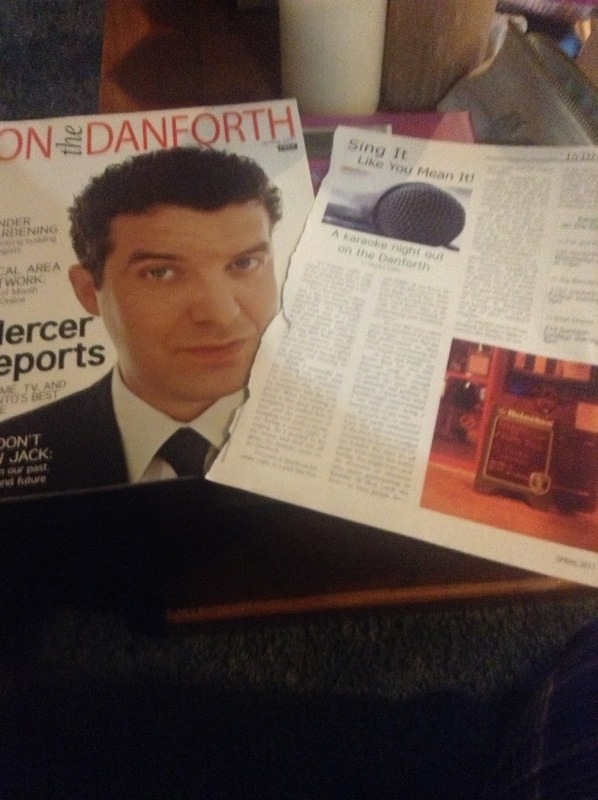 During my stay with this program, I also had the amazing opportunity of having an article I wrote published in the 2011 Spring issue of On the Danforth magazine- this was my first published piece of work! 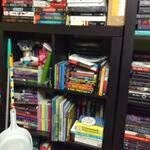 I started my book review blog to share my love and passion for Young Adult and Romance books, with other book bloggers/lovers. I never knew or dreamed it would turn into the modest success it has become. Through my blog I have obtained so many wonderful contacts from fabulous Publishers, including; Harlequin Inc, Harper Collins Canada, Scholastic Canada, Simon and Schuster Canada, Raincoast Books, Penguin/Razorbill Canada and Random House Canada. I'm so grateful to these wonderful publishers, and my amazing readers, for helping me express and share my passion for books on a multimodal platform. I do hope to start a new meme on the blog in the late Spring as a resource for Teachers- giving lesson plans around certain books in accordance with the Ontario Curriculum- this is a future goal of mine. 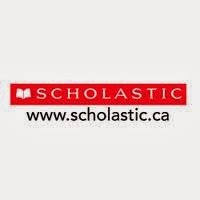 the amazing opportunity to intern at Scholastic Canada in their Book Clubs department. During this internship, I was able to edit teen manuscripts for their content appropriateness, and I learned a great deal about not only Young Adult literature, but Children's Literature as well. 2010-13 - Chapters' "Teen Guru"
I started working at Chapters/Indigo when I first started my Publishing program at Centennial College. 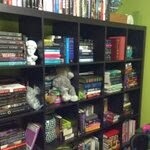 This was truly a dream job for me because I was placed in the IndigoKids/Teen department. I literally got to discuss children's books all day! It was fabulous and I was nicknamed the "Teen Guru" by my fellow co-workers and bosses. Any customer who had a question about a teen or middle grade book was directed to me, and I was always happy (and excited) to help. I got to help and recommend titles to Elementary Teachers/Librarians, who would come in requesting popular new titles (especially for young male readers). As much as I loved and enjoyed this job, I knew I was missing an important step in my career, and I knew it was now or never, I had to take the chance and apply for Teacher's College! 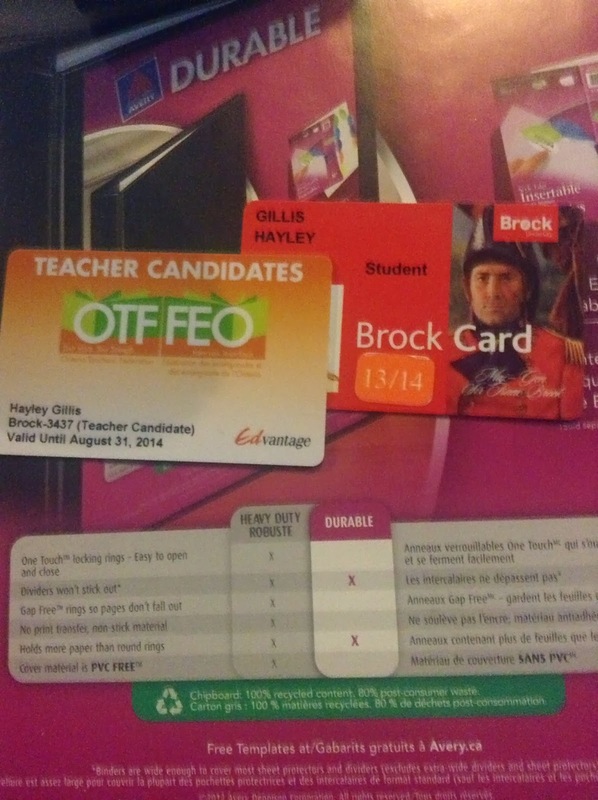 Currently, I'm attending the Teacher's College Program at Brock University. I have learned so much in this program, and am so grateful for the wonderful experiences I've been able to integrate into my Teaching pedagogy, and my hope is to one day become an Elementary School Librarian! 1) Take the AQ (Additional Qualification) course in Library Sciences offered at Brock University- I want to continue to further my knowledge and experiences with Children's Literacy and know this course would be a great fit. 2) Work for a High Education publication - I would love to incorporate my knowledge of Education (Ontario curriculum) with my passion for Publishing, by developing lesson plans based around certain books and text books. This is my Personal Literacy Journey so far, it's been a spectacular ride- I've experienced many wonderful things and have learned a lot. What the future holds, I can't really say, but I know with absolutely NO DOUBT that my future will be surrounded books and me sharing my passion for Children's Literature in some sort of capacity. I hope you have enjoyed this post, I'd love to know your Personal Literacy History. Leave me any comments or stories you may have of your Journey.